Cheryl Parker, Maria-Larisa Covaciu and Sean Jones are among some of the most driven student’s I’ve had the pleasure of meeting. 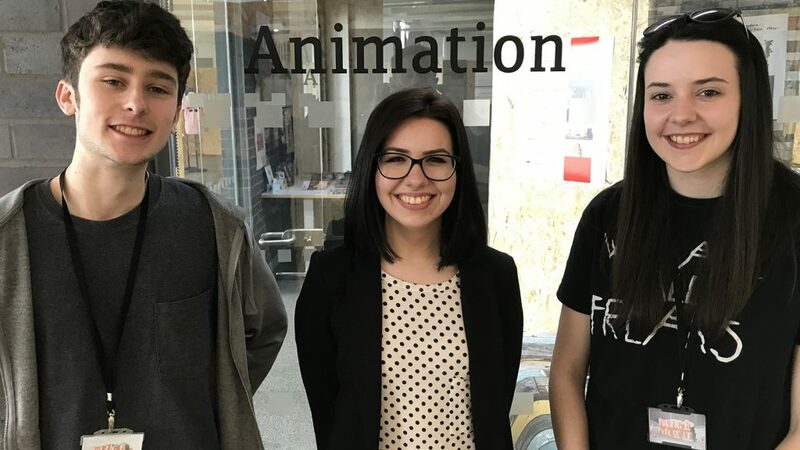 They have just completed their third and final year of BA Animation, and have had a year brimmed with professional highs and personal achievements. To complete their final year, they had to create a short animation film, accompanied by an industry-standard advertising campaign. Their animation, titled ‘Making A Meal of It’, follows the journey of a (rather lovable) mythical creature whose one journey in life is to find a tasty meal to eat, something which is proving difficult as a result of adverse weather conditions on their fictional square planet. 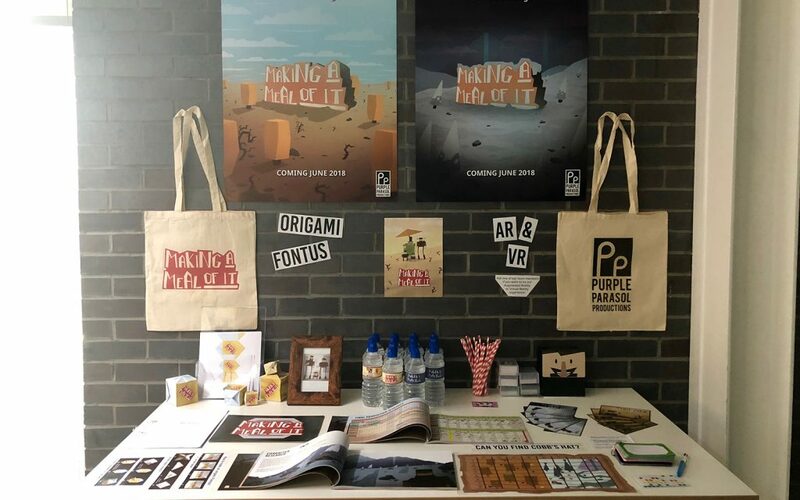 ‘Making a Meal of It’ was exhibited at the Degree Show 2018 where it was complemented by a beautifully-executed promotional campaign, complete with a VR experience, giving a perspective of how it would be to walk among the fictional planet, as well as an augmented reality app that allows you to visualise the animated planet from orbit. The best bit? The three have carried out their final project under a newly-formed production company titled ‘Purple Parasol Productions.’ It was a pleasure to sit with the guys and talk about their hugely interesting experience. How does it feel to debut your first animation campaign? It’s completely surreal, it makes us a little emotional. The campaign itself has exceeded what we originally thought we’d be able to achieve. Everything from the social media posts and strategy, to the printed marketing we had to design, and then of course the animated film itself. It really is the cherry on top after three years of intense studying. 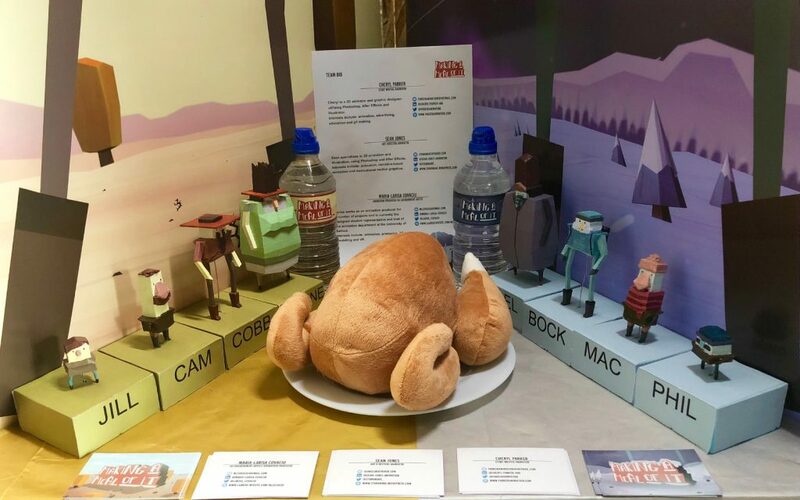 The ‘Making a Meal of It’ promotional stand. What has been the biggest challenge of the process? If I’m totally honest, there were two that come to mind. The first being the hard work and final push to get our animation and campaign up to industry standard. This was crucial to us, as when we leave university, if we can show our work as a credible full-film and campaign, it will mean we’re leaps in front of a lot of people. Coupled with this was the challenge to produce work to a time scale that we as a production team had set ourselves. You need to make sure all cogs are in motion and that the tasks are completed to the highest standard. How do you go about funding an industry standard project? We were very lucky to have all the software provided by the university, and when it comes to advertising, we were so fortunate to be able to advertise online without having to pay for it. Other than these free tools, we had to raise the funds to pay for everything else, which in a strange way makes the outcome that little more satisfying. The overall price was around £300 for our end of year show, which may sound like a lot but that’s then divided by three. Plus, we’re so happy with it, the money is totally worth it. Just to put it in perspective, the money allowed us to order marketing and merchandise which massively aided our networking after our trailer was shown at Motion North. POV of the campaign’s AV experience. How do you feel studying at Salford has helped you get where you are? Straight away what comes to mind is industry connections, and how the university is almost bursting at the seams with contacts. A lot of that is down to the city, and what a fantastic place it is! There is a huge amount of opportunity in the area with events such as Motion North have allowed us to connect, network, and share ideas with others in the industry. From an academic point of view, the facilities and teaching is all industry-standard. The university listens to what the students want, for example, we wanted to work with a specific software throughout our degree, which personally we couldn’t afford to subscribe to, however the university picked up the bill. 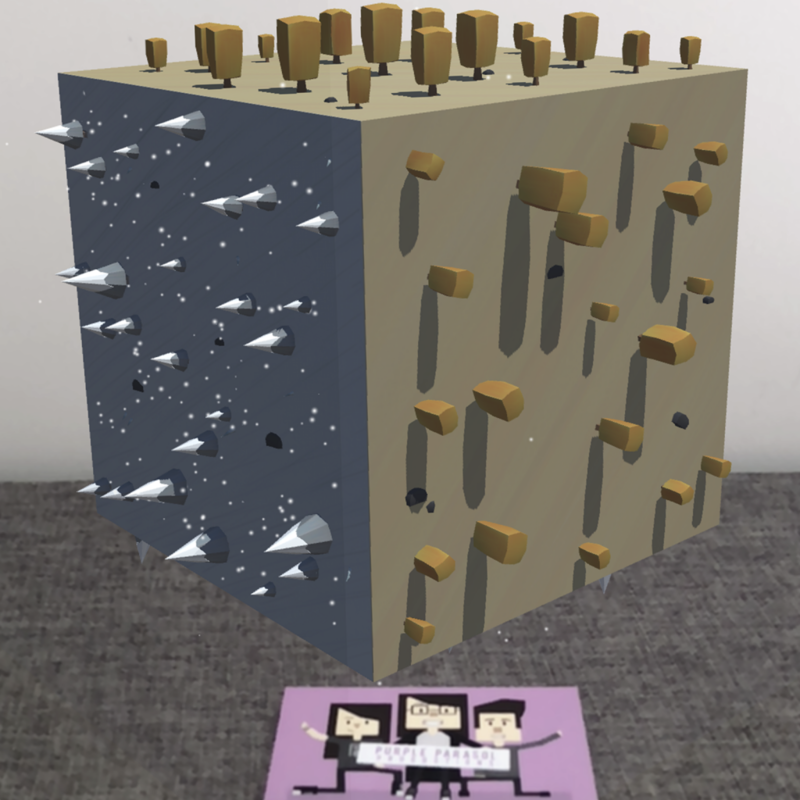 Augmented reality app, showing the fictional planet from orbital view. What advice do you have for current or prospective Animation students? As soon as you can, mentally scan you peers and find people who are working at the same level and with the same amount of enthusiasm as you. When it comes to group work it is immensely satisfying to work with someone who you can relate to personally and professionally. Also, it’s hugely beneficial to work on little projects outside of the course, as your skills with strengthen so quickly that you’ll surprise yourself. Also, self-directed work will help you discover which area you may wish to specialise in, which makes you hugely employable in this industry. What’s next for Purple Parasol Productions? We’d all love to continue working together in the future, which is highly likely. Along with finding which area of animation we’d all like to specialise in, we’ll also be finalising some projects we’ve been working on, and also starting some very exciting things that are in the pipeline. There are some things we can’t say too much about, however we’re working with a high-end department store at the moment which we’re all confident about. Something we can say a little bit about is that as a team we’re currently working on a live brief for TransPennine Express, so that is hugely exciting!